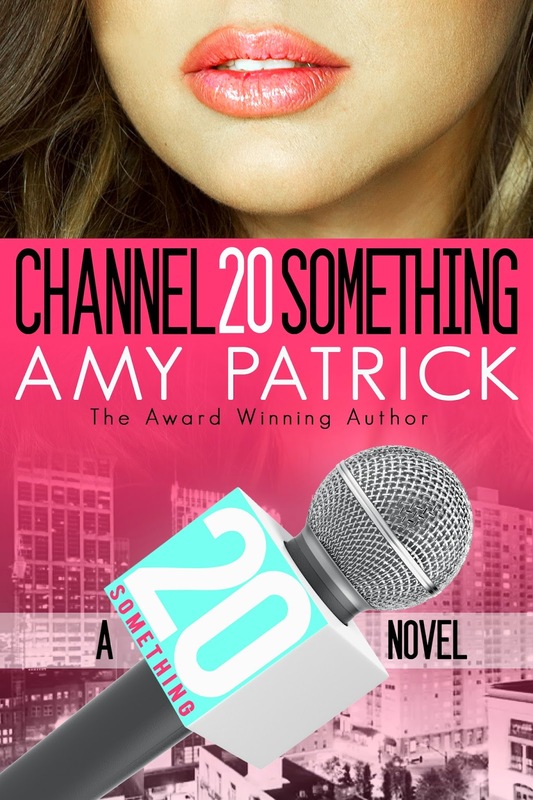 From award-winning author and two-time GOLDEN HEART® finalist Amy Patrick comes a New Adult contemporary series about twenty-somethings entering the world of TV broadcasting, where what happens behind the scenes is the real news. 1- Your main character in CHANNEL 20 SOMETHING, Heidi, is a first-year TV news reporter/anchor. You were also a TV news reporter, right? Is Heidi anything like you? Well, she’s definitely not me, but I did give her some of the same struggles and experiences I had as a newbie reporter/anchor. And like me, she grew up in a small Mississippi town. We also shared the same *unfortunate* nervous-stomach issue. 2- Did you actually throw up in front of the governor of Mississippi one minute before going on live TV like Heidi did? Why yes. Yes I did. Nothing like rookie reporter nerves. J Happy to report I did eventually get over that little problem and can now appear on television without any threat of my lunch reappearing. 3- Do you have a favorite character in CHANNEL 20 SOMETHING? It’s really hard to choose. I really relate to some of Heidi’s passion and confusion and mistakes. I love her sister Jane Elaine. But I’d have to say Aric is my favorite. I mean, what’s not to love? Ultra-hot guy who’s also funny and kind? Yes please. 4- Do all the 20 Something novels take place in the South? As you know, book 1, CHANNEL 20 SOMETHING, is set in Mississippi, where Heidi gets her first job. Book 2, STILL YOURS, takes place in Providence, Rhode Island, the news market where Heidi’s friend Mara is starting a new job (and running into the ex she hoped she’d never lay eyes on again). Meanwhile, Heidi’s other best friend Kenley has moved to Atlanta and is starting a job at WNN. We’ll hear her story in Book 3, STILL ME. 5- Beyond being a writer, what’s going on in your life? I narrate audiobooks for other authors, and I’m in the middle of a fun small-town mystery series for author Sandra Balzo. I have a small recording studio in my house where I lay down my tracks, then I send them to a sound engineering for post-production. I also have two boys who are about to go back to school, so we’re making preparations for that while trying to squeeze in a bit more summer fun. It goes so fast! Thank you so much for having me today. It’s been so much fun being on your blog! This sounds SO incredible, right?! Don't forget to add it to your Goodreads and get reading!